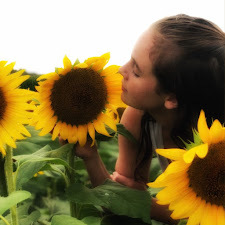 The School for Good and Evil first starts off in the town of Gavaldon, where readers are introduced to Agatha, the girl who lives in a cemetery with her mother, a supposed witch; and Sophie, a hard like character with an affinity for face masks. From that point on, the fast-paced plot shoots forward to where both girls are being taken away to the School for Good and Evil. Except the girls end up in the schools opposite of where they were expecting to, with Agatha at the School for Good, and Sophie at the School for Evil. Both girls seem like fish out of water at their new schools--and their lives only get more complicated when a love interest in introduced. From there on, Sophie and Agatha embark on journeys where they discover that perhaps they were placed into the right schools after all. 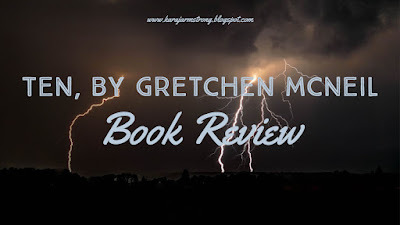 If you are in to books with a wide vocabulary usage, in-depth world building, and beautifully re-imagined fairy tales, then The School for Good and Evil is definitely a book that you need to read. 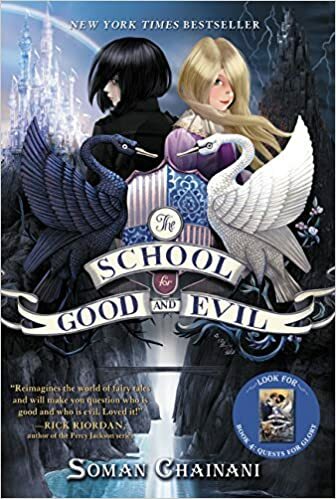 You can find Soman Chainani's website HERE, the official School for Good and Evil website HERE, and you can read a free excerpt of the first book HERE. I've had this on on my list of books to read for much too long. Thanks for your insights and for the links. I plan to finally open the pages of this one during the summer months. This reminds me a tad of the Princess Academies, but different. I enjoyed your thorough and great insights. I will add this to my list for summer reading as I think my great granddaughter might enjoy this book. Ooh, this sounds good. I'll have to try to read this sometime this summer. This novel was mentioned in a recent novel retreat I participated in, so I just picked it up and can't wait to dive in! Thanks for your great review, and happy MMGM! This really sounds like a fun concept for a book. Thanks for telling me about it. I will check it out.